This is another model from the workshop of Argentinean modeller Ricardo Dacoba. 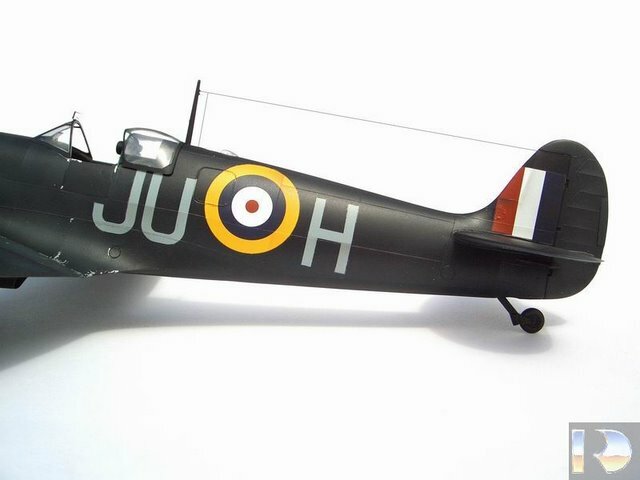 The unusual all-black finish indicates a night-fighting Spitfire Mk. Vb of No. 111 Squadron, piloted by Sergeant Peter Durnford. At the time (winter 1941/42) the unit was stationed at Debden, Essex. 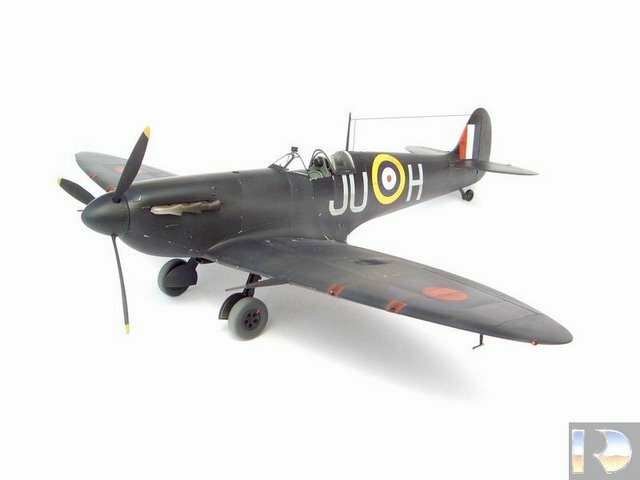 During that period the fear of the Blitz and the urgent need of developing effective defence against night raiders led to employment of daytime fighters, both the Hurricane and the Spitfire, for night fighter duties. Unsurprisingly, none of the two aircraft proved successful in the night interception role, albeit the Hurricanes had some success as intruders. 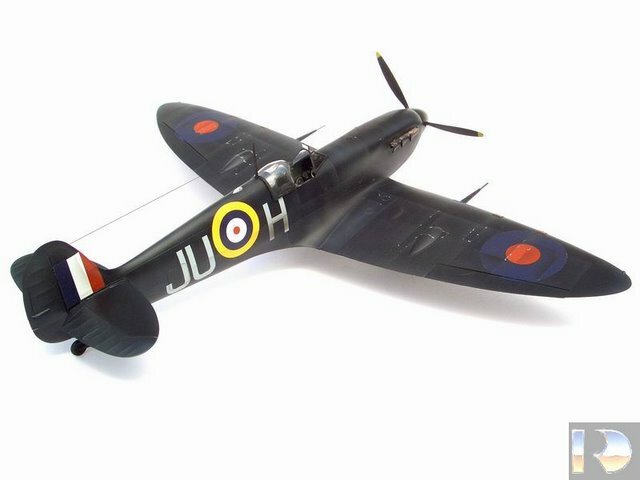 The Spitfire proved hardly suitable for operational night flying so the experiment lasted only a few months, but what’s left of it is a possibility for the modeller to choose that striking all-black scheme. 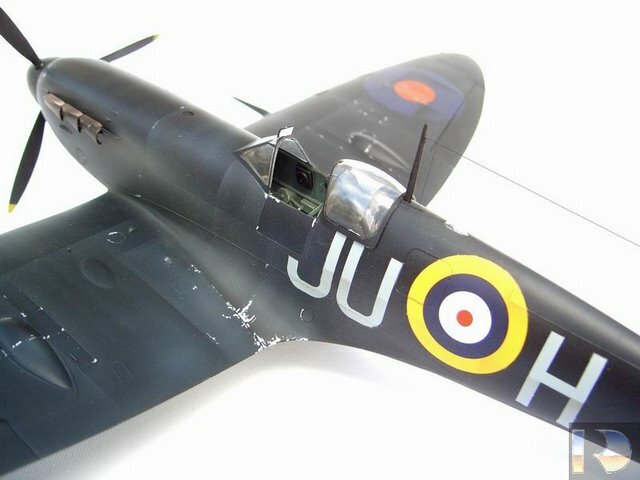 More details about the application of Spitfires for night operations can be found in the article Night-Fighting Spitfires.